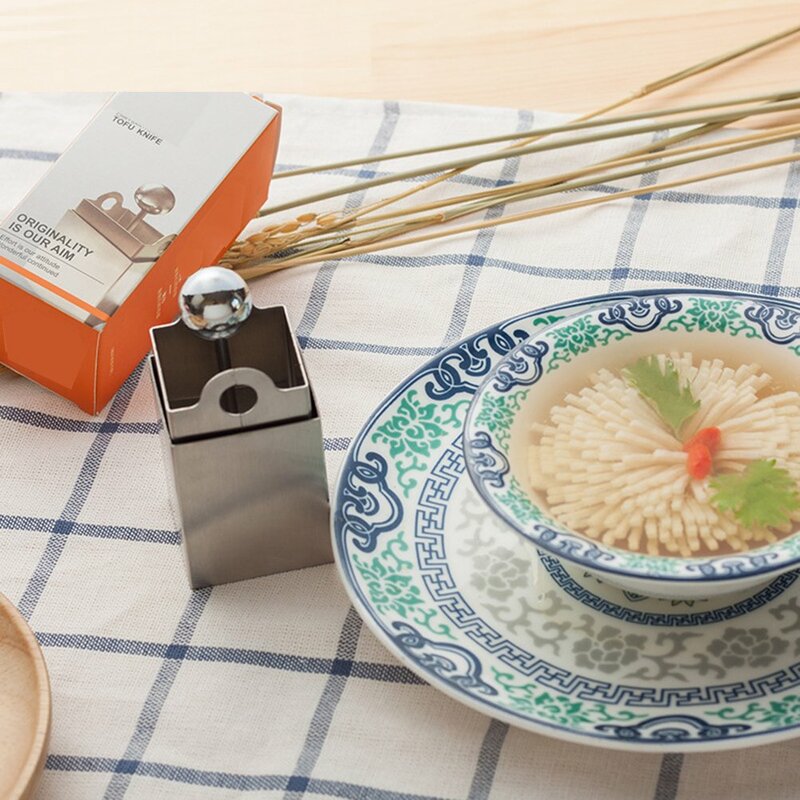 Now with the Tofu Shred Mold, you can make the famous Chinese Chrysanthemum Tofu in your kitchen. It is also perfect for shredding your cheese and butter into perfectly shaped pieces. Entertain your guests with a beautiful plating of appetizing cheeses and other kinds of hour d' oeuvres. Create your very own homemade tofu for a nutritious family meal. Made of a non-toxic stainless steel material is easy to clean and safe. 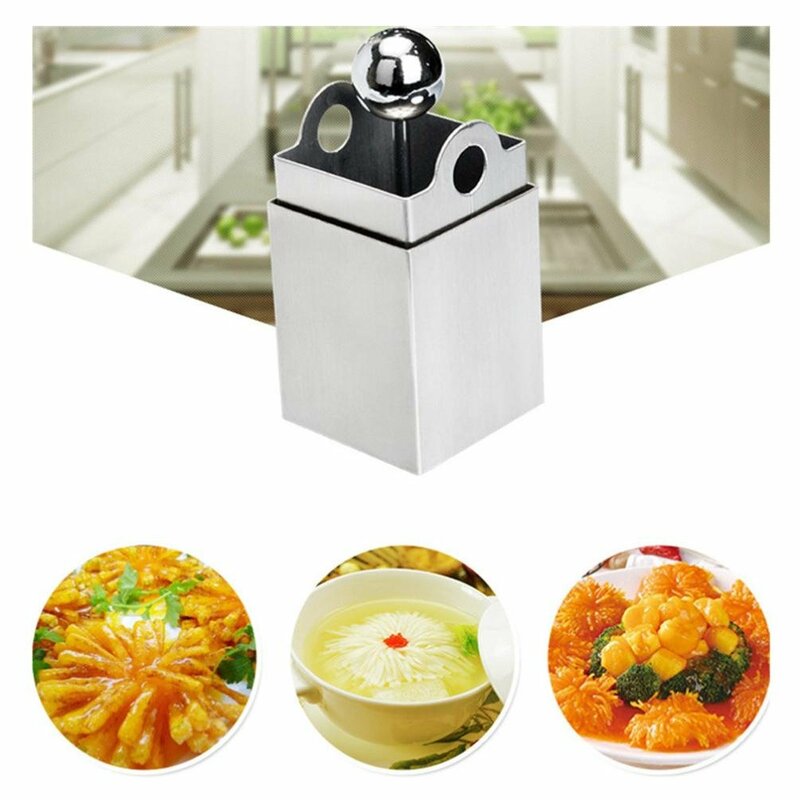 Only press and it can make tofu and cheese to be daisy flower or filiform shaped. Suitable for Tofu Cheese and other soft food. You can make famous Chinese food Chrysanthemum Tofu. Or cutter your cheese as a flower.